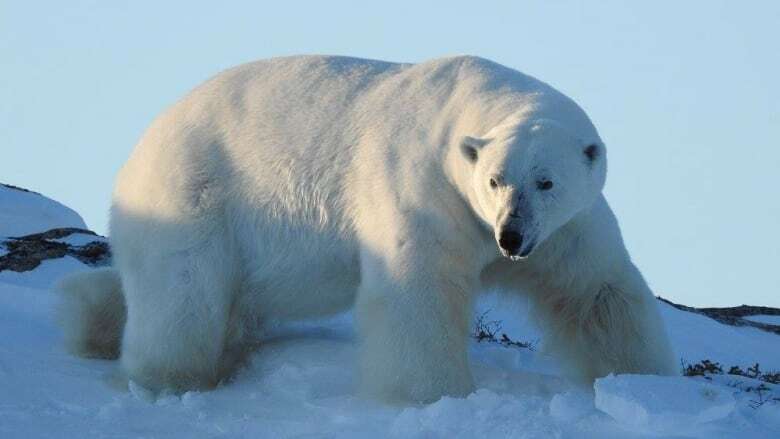 Police on Fogo Island say a polar bear in the community of Deep Bay quickly became a threat to public safety and had to be shot. "It all unfolded in a short period of time," said RCMP Cpl. Shaun Coady. "Given how quickly it could close the distance to those people standing around, as well as the officers on the scene, we determined that it had to be shot." Eyewitness Melissa Waterman, who alerted police to the bear when she saw it near the wharf in the harbour, described the animal as fast-moving. "They shot off a warning signal. . . a shot and it didn't bother him, not a bit," Waterman said. "They had to kill him. He was just coming on the land, coming right for them, for the cops. He wasn't backing off." Coady said police and the Department of Fisheries and Oceans arrived on the scene around 9:30 a.m.
About 25 people were hanging around the community wharf, near the fish plant, when the bear started to make its way towards the crowd. "The decision was made based on the threat to the safety of the individuals around us that we would shoot the bear on scene," Coady said. Polar bears usually don't make their way into the Fogo Island community. RCMP said no one on the island is trained to tranquilize such a polar bear. Waterman said while it is sad the bear had be shot, the animal was coming about 100 metres within the nearest house in town. "A polar bear is not something you see every day," she said. "Love to watch them… from a distance."